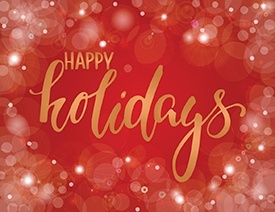 Happy Holidays to Our Springs Apartments Communities! There’s no place like home for the holidays — especially when your home is in a Springs Apartment community. It’s our privilege and pleasure to serve our residents throughout the year, and staying in touch with you is one of the best ways to make sure we’re doing our best. If you haven’t already, please subscribe to our “You’re Home Blog” so you’re connected to the latest community updates, apartment-related tips and tricks, review, suggestions … and so much more!